A beautiful symbol of life, a floral tribute is a wonderful and much appreciated way to express your feelings for a friend or loved one. 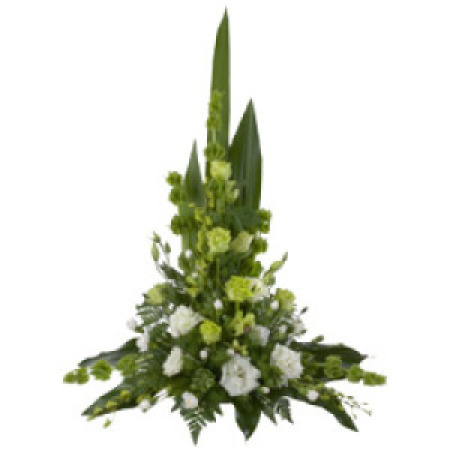 This arrangement is suitable for delivery to the home or funeral service. A long lasting and classic display of fresh seasonal blooms, with lissianthums, carnations, tropical leaves and foliage.